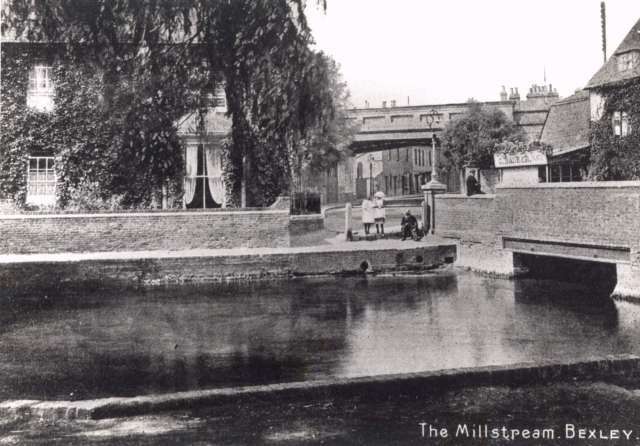 The Mill Stream in Bexley Village where the River Cray crosses the High Street. The river was originally fordable at this point. 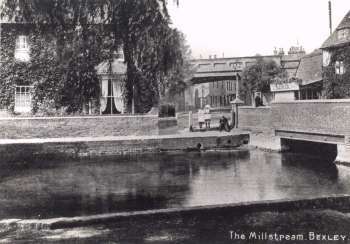 Bridge House can been seen on the opposite bank of the river with the railway bridge in the background.